Here are articles and books that I’ve found very helpful in my spiritual journey and return to again and again. These would be featured in my “spiritual reading hall of fame”. When I’ve recommended these for people to read, the feedback I’ve received has been very positive. Having said that, each person was created different, and if these books don’t move you, you need to find something else that does. Clicking on the picture will take you to Amazon, where you can purchase the book. 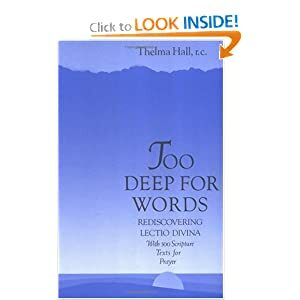 Too Deep for Words: Rediscovering Lectio Divina by Thelma Hall is a short, easy-to-read book about the ancient practice of Lectio Divina or Divine Reading. For those thirsting for something more in their prayer life this book explains how one can use this tried-and-true way of praying with Scripture. Everything one needs to get started is spelled out for the reader The book ends with some 500 suggested passages to use divided according to various themes. I would have thought the #1 Must Read Book would be the Bible…. after all, it is the world’s best selling book year after year without fail! Of course, you are correct and made me smile. But I didn’t think any readers would need reminded. Besides, there is the big question of which translation to use. For personal prayer I prefer the New Revised Standard Version. Which do you prefer? It seems that too often the bible is ‘overlooked’ because we hope people would read it. Funny enough the other day with the youth group I lead, I gave them a small exercise to rank several different books according to sales and no one including the adults chose the bible as #1. And great news is that it is #1 and should always be a the top of our lists and minds. And I do agree with you, I also prefer the NRSV. Keep up your good works; to God be all the glory! I use the New Catholic Answer Bible which is ideal for the New Evangelization. Inserted throughout the Bible are 88 questions and answers about the Catholic Faith. For example, “Why Does God Allow Evil?” The answer gives quotes from the Scriptures and the Catechism of the Catholic Church. Other questions are, “Aren’t Statues a Form of Idolatry?” “Why Do Catholics Pray for the Dead?” “Are the Seven Sacraments in the Bible?” “Are Catholics ‘Born Again’?” Etc., etc. One of my all-time favorite books is, “The Fulfillment of All Desire: A Guidebook for the Journey to God Based on the Wisdom of the Saints,” by Ralph Martin. 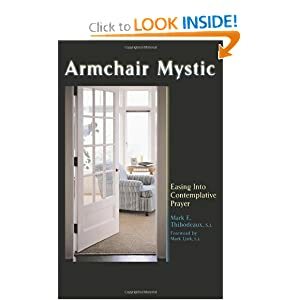 Ralph takes the writings of seven Doctors of the Church that are mystics to present the spiritual journey in the three traditional stages: The Purgative Way, The Illuminative way, The Unitive Way. By using the writings of mystics, Ralph is able to create a mystical language to speak about an intimate relationship with the Lord. In giving spiritual direction, I find that people are hungering for a mystical language to help them describe and express their relationship with the Lord, both the graced moments and the times of struggle. I agree about The Fulfillment of All Desire. 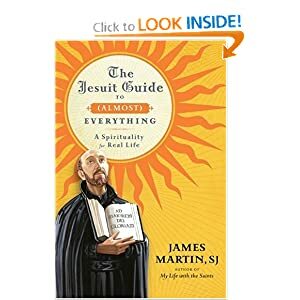 That is definitely a must-read for all Catholics seeking to grow in prayer! 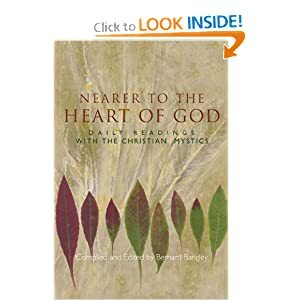 I just bought Nearer To The Heart Of God: Daily Readings From The Christian Mystics. It looks like a great book. Thanks for the recommendation!